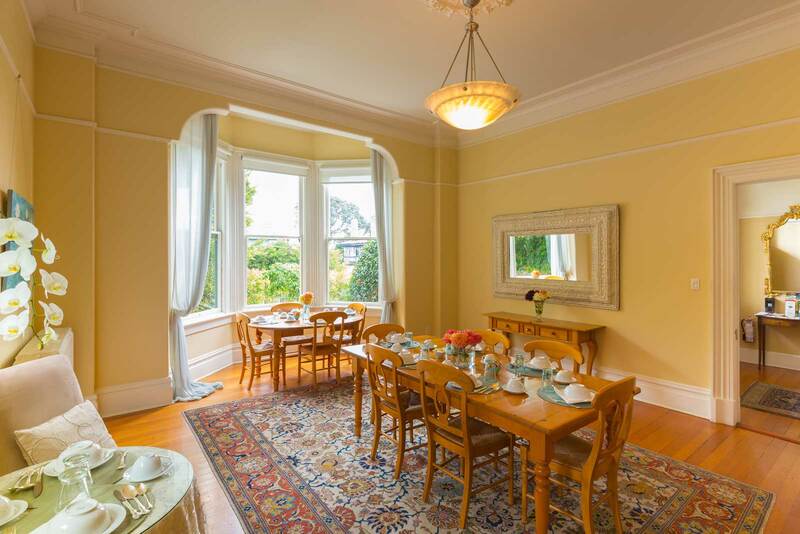 Below there are a few examples of the things that have been written about our Victoria bed and breakfast in some popular tourist guides and posted on other forms of media throughout the internet. 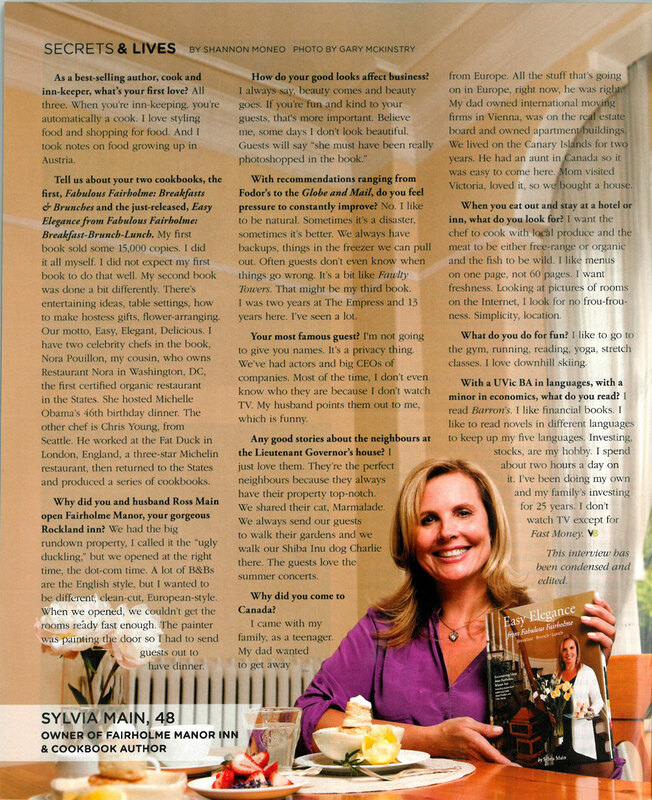 Sylvia Main, owner of Fairholme Manor Inn, was featured in the September 2012 issue of Boulevard Magazine. Read her interview! Read the entire issue online. Video of Sylvia Main cooking Lemon Ricotta Pancakes on the TV show Saturday Chefs. Video courtesy of Global TV. “Readers Recommend” L.A. Times 18 July 1999 L26. “TRAVEL: Reader tip.” The London Free Press 2 October 1999, section G.
Pfeiff, Margo. 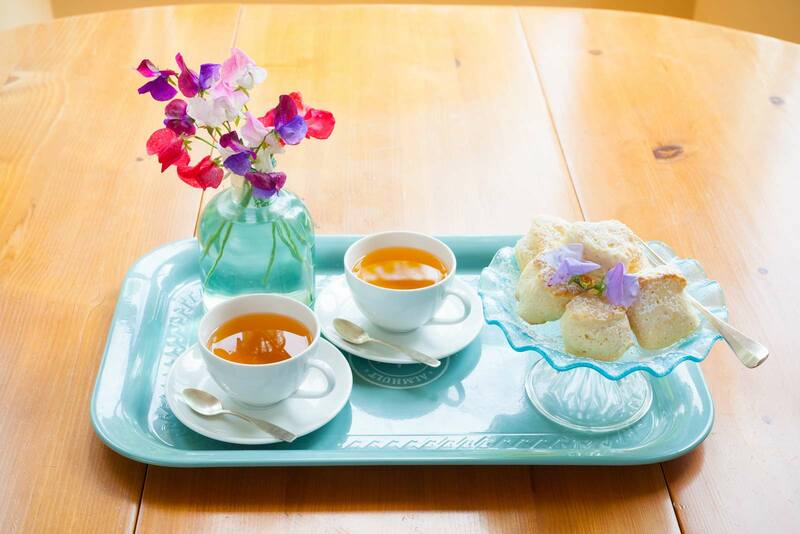 “Old world B&Bs Put the “British” in B.C. 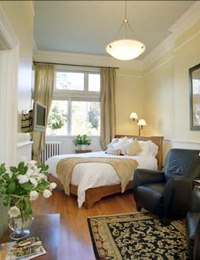 : Victoria inns offer English élan behind the ’Tweed Curtain’.” San Francisco Chronicle. 4 March 2001. Fairholme Manor was featured as one of “The Best Places to Kiss in the Northwest“. 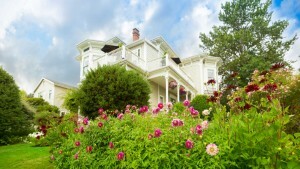 “Few accommodations are as grandly romantic as those at Fairholme Manor, an exquisite, newly restored 1885 Italianate mansion located in historic Rockland, just a 15-minute walk from the ocean or downtown.Thanks to excellent planning by proprietors Sylvia and Ross Main, every tasteful, spacious room has its own appeal, although we have our kiss-worthy favorites. One of these is the Olympic Grand Suite, which features Viennese antiques, lovely artwork, a luxurious queen bed, a sparkling chandelier and robin’s egg-blue ceilings, and a wood-burning fireplace; the full bath boasts a double soaking tub. Step out to your deck for sweeping views of snowcapped peaks, the dazzling water, and the lush gardens of the adjacent Lieutenant Governor’s house. Another sublimely romantic spot is the Fairholme Grand Suite on the main level, which tastefully combines an indulgent, Las Vegas-style glamour with European elegance. 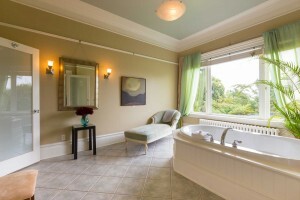 Here, you’ll find a spa room with 14-foot-high ceilings and a large double air-jet Jacuzzi surrounded by potted palms. After your leisurely soak, wake up under the double-headed shower for two. There’s a king-size bed and an immaculate white sofa in front of the fireplace; bay windows look out upon the gardens and the water. 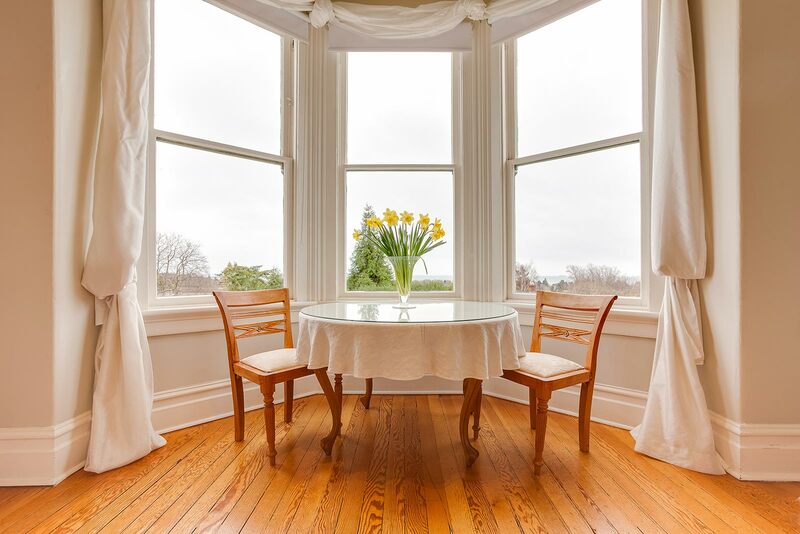 Other romantic options include the lovely Rose Room, an upstairs apartment-style unit with a kitchen, two bedrooms, and a wonderfully private deck. A separate wing offers slightly smaller rooms that are nonetheless highly romantic; we particularly like the Penthouse, with its picture windows, full kitchen, and simple bedroom. 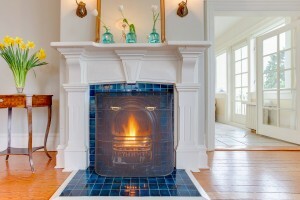 The Tuscan is a cozy room with a country-cottage feel. A Romantic Travel Guide – 8th Edition – Page 391. Our Victoria Bed and Breakfast certainly earned the title as one of the best places to kiss in the northwest. Our entire property is filled with romance, from the beautiful gardens to the extravagantly decorated rooms, we have taken every effort to be a romantic getaway and we hope that you will have the opportunity to share a kiss in one of our rooms. We are so proud to have been named in “The Best Places to Kiss in the Northwest” article as it proves that we have reached our goal in providing romantic vacation accommodations for those traveling to beautiful Victoria BC. Q: Can you recommend a nice B & B in Victoria British Columbia? – Z.H. 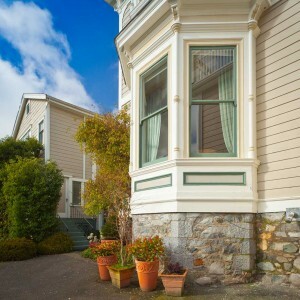 This is truly a unique find, tucked away in Victoria’s most exclusive residential neighborhood: a lofty, manor house dating from 1885, superbly restored. While honoring the home’s 19th-century heritage, Sylvia and Ross Main have created five contemporary suites, immense and totally private. Tall arrangements of fresh flowers in oversized vases manage to get lost in these expansive spaces. Enter the main house into a large common room, with 14-foot bay windows, a fireplace, comfortable sitting chairs, and a dining table. The Olympic Grand Suite upstairs is typical of the accommodations here. Enter a large, loft-like room through an arched doorway. The beams in the high ceiling are painted white, a barely-robin’s-egg-blue between them to match the walls. Look across the room and marvel at the water and mountain views through towering 11-foot windows. 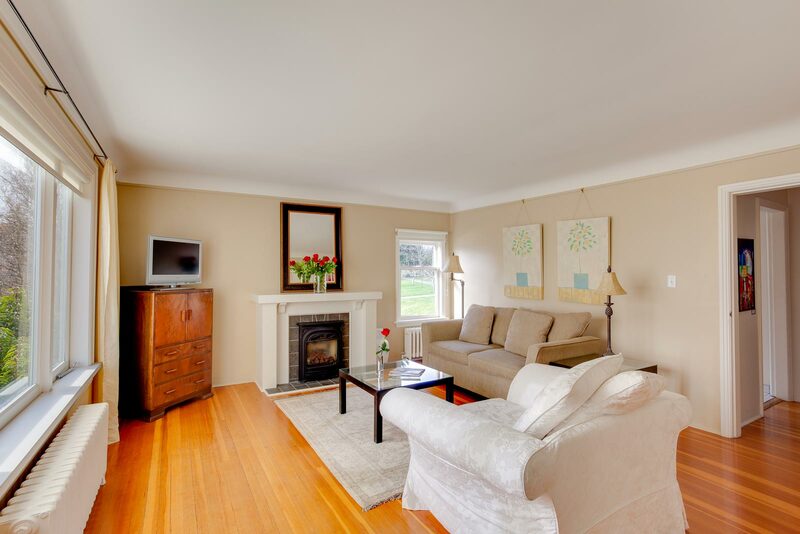 Here, there’s space aplenty for a king bed, fireplace, sitting chairs, and dining table. The Fairholme Grand Suite – all 850 square feet of it – has 14-foot ceilings, a double Jacuzzi tub with an ocean view, a double shower, and a mix of traditional and contemporary decor: Persian carpets on hardwood floors, oversized chairs covered in creamy-beige slip covers, a 100-year-old chandelier, and a teak dining-room table and chairs. Directions: From downtown, drive east on Fort St., turn right on St. Charles, right on Rockland Ave., then immediately left into Rockland Place. Recommended in ’Andrew Harper’s Hideaway Report’, a connoisseur’s worldwide guide to peaceful and unspoiled places. – July 2004 issue. 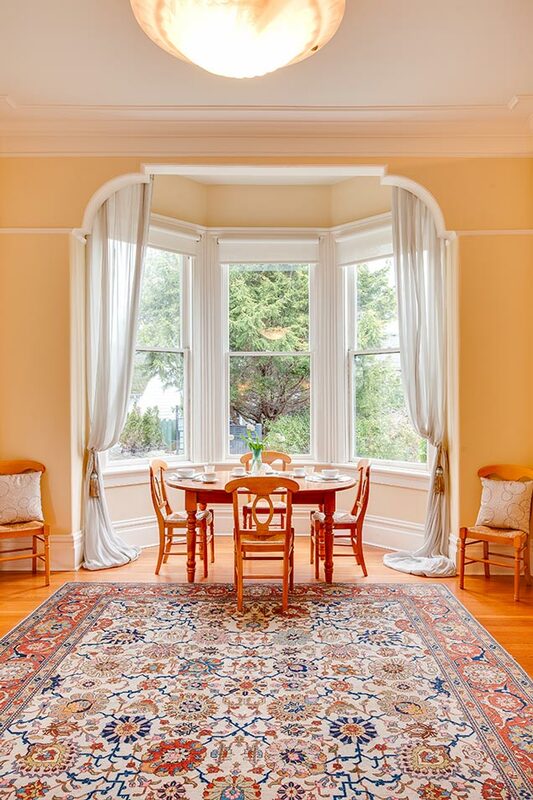 A: During our recent trip to Vancouver Island, we discovered a delightful B & B that captures the quaint historic essence of Victoria. Occupying a beautifully restored late 19th-Century Victorian/Italianate manse, Fairholme Manor hides at the end of a quiet lane in a residential neighborhood bordering the gardens of Government House ( a 15- minute stroll from the colorful downtown harbour district). Trimmed by bay windows and balconied porches, the grand property sits in a pretty park-like setting yielding stunning views of the Olympic Peninsula’s majestic mountains that seemingly rise out of the Straits of Juan de Fuca. There are just five very spacious accommodations, our favorites being second-floor “Olympic Suite” (king bed, large sitting area with fireplace, sunroom and panoramic ocean- view deck) and the ground-floor “Fairholme Suite” (king-size sleigh bed, 14-foot ceilings and a fabulous white-tile bath with a Jacuzzi spa and double-headed shower for two). All units feature mini-refrigerators, TV/VCRs, CD players and terry robes. Breakfast is served in a cozy dining room/lounge or on a scenic deck during the summer months. Deluxe Double/ Single, $220-$240 (C$295-C$325), full breakfast included. Tel. (877) 511-3322 or (250) 598-3240. Frause, Sue. 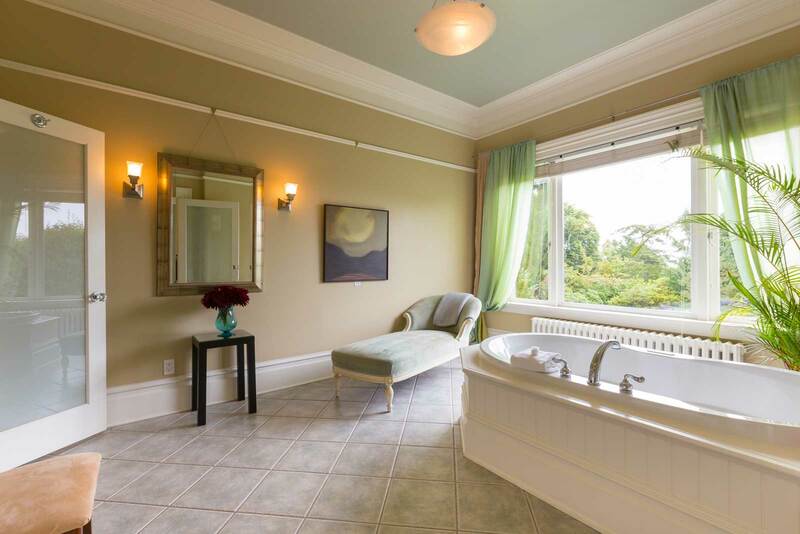 “BRITISH COLUMBIA: ROOMS WITH A VIEW: Fairholme Manor and The Aerie” Seattle Magazine May 2001: 34. “In Victoria, the 110-year-old mansion, Fairholme Manor, nestles into one square acre of the core of Victoria, a fifteen minute walk from the ocean or downtown Victoria. 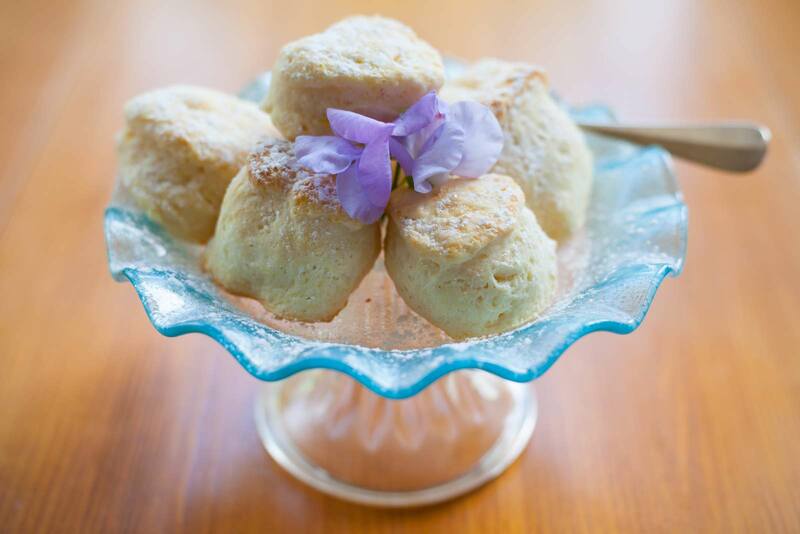 TIP: Ask ahead for the Lemon Ricotta Pancakes”. Here’s a link to the article on Canadian Living Magazine’s web site. 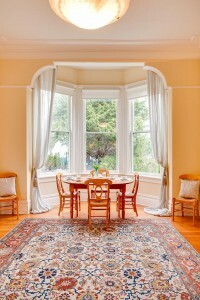 Fairholme Manor, a Victorian/Italianate mansion located in Victoria, BC, is a 2006 Andrew Harper’s Hideaway Report Grand Award Winner as Canada’s Bed & Breakfast of the year. Each year, Andrew Harper singles out the world’s best hotels, inns, and resorts for special recognition. To even be considered, properties must be relatively intimate in size, and located in peaceful and scenically pleasing surroundings. Then the properties are judged on their all-round comfort, non-commercial character, and passionate commitment to personal service. “Inspections” are done incognito, and while decor, cleanliness, friendliness and other attributes are reviewed, the judges also rely on Harper’s “Q” factor, an intangible, summary impression that instinctively separates the good from “the truly enchanting”. I was delighted to read, in the January/February edition of Western Hotelier, that Fairholme Manor is a 2006 Andrew Harper’s Hideaway Report Grand Winner as Canada’s Bed & Breakfast of the year. To receive such a high honour is truly an outstanding achievement and I congratulate you for providing such memorable surroundings, service and overall experience for your guests. On behalf of Tourism British Columbia, sincere congratulations to you, Sylvia. Such excellence inspires, encourages and motivates us all. * Fairholme Manor. Original art, Viennese antiques and dramatic decor shine in this lavish, 1885 Italianate mansion. Surrounded by an acre of gardens in the Rockland district a mile from the inner harbour, the Fairholme has an open, airy feel in its spacious high ceiling rooms. The suites are massive – some about 900 sq. ft each – and most have a king bed, a view, and a fireplace. The Olympic Grand Suite boasts of a lavish chandelier and private ocean-view deck: the two-bedroom Rose Garden Suite has a kitchen and a private deck. 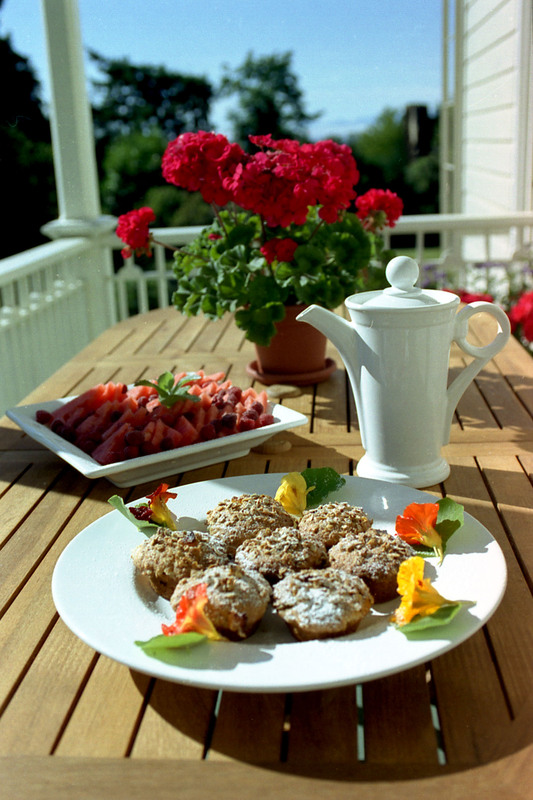 Elaborate breakfasts are served at tables for two by the fireplace in the dining room or on the porch. Every spring my TC mailbox fills with new cookbooks. This year I noticed a number were by B.C. authors, and quite diverse on their subject matter. Below are reviews of five new volumes that will help you celebrate the tastes of the Okanagan, create brilliant morning meals, cook without turning on the stove, feast from a First Nations perspective and get hooked on halibut. Wow! That was my first reaction when flipping through this beautifully designed, self-published book written by Sylvia Main, owner of Victoria’s historic Fairholme Manor Inn. The 142-page book is jammed with so many delicious morning meal ideas you might never want to sleep late again. Some of Main’s many fine creations include tomato and spinach strata (a great brunch dish you can prepare the night before); cheddar chive biscuits (nice topped with a poached egg); and chocolate lover’s waffles with raspberry syrup (perfect for a romantic breakfast). 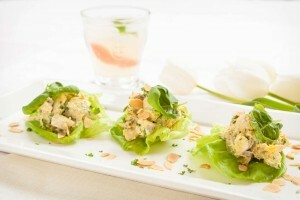 Each recipe has a mouth-watering photograph alongside that provides a clear vision of what it should look like. 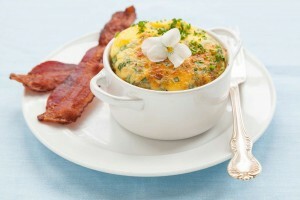 Fabulous Fairholme: Breakfast & Brunches costs $29.95 and is available at most book stores in Victoria. Fairholme is situated next door the Lieutenant Governor’s Mansion, and Fairholme has a grand view of it’s grounds. On this day, The Queen of England was visiting while we were being interviewed by Chek6 Television and the camera person caught a glimpse of The Queen and Prince Phillip taking a stroll around the G.G.’s gardens! Click the image below to view the video clip! We’re World Famous! The following two clips have aired a couple of times over the past two years to Japanese Television audiences in the millions. With excellent camera work, these clips show great footage of our rooms and property – check them out!